2018 is the year of the downward-facing dog, of surya namaskars and endless chants of Om. Everyone’s into yoga. From soccer moms to CEOs, techies to pre-teens, and even the Prime Minister himself, yoga seems to have become a global phenomenon. The word ‘yoga’ means union, but you can still practise it alone. And while many people believe that yoga takes time, a little bit a day can go a long way towards developing a flexible body and a clearer mind. Yoga, unlike most other exercises, is not just about the physical. It’s not about difficult stretches and deep breathing. You actually get to use your mind and emotions as well. After a bit of yoga, the body is refreshed and supple, and that lingering feeling of tiredness and lethargy vanishes. A sharp clarity of the mind is felt, which makes yoga different from perhaps even a very intense workout. I find yoga to be a perfect and snappy pick-me-up. For people who work long hours on their desks and don’t have the time or energy for an intensive workout, yoga can be their go-to regimen. The modern world is not meant to be calming or peaceful. Everything about it is jarring, intrusive and stressful. Much of yoga’s appeal lies in its ability to combat several mental and physical ailments like anxiety, depression, and heart problems. By practicing yoga you develop some control over your mind and body together. In fact, researchers at the University of Harvard have found that people who practice yoga require less medical care; yoga helps you fight stress, which in turn reduces the possibility of getting afflicted by problems related to stress. To stay young and beautiful forever is what the world aspires to. For skin-sagging, wrinkles, and spots, yoga does wonders. It keeps the skin taut, glowing and radiant. So throw away all those skin creams, moisturisers and scrubs, and grab a pair of yoga pants and a mat instead! At the end of a long day, all we really need is sleep. There is simply no better way to recharge. Sadly, the first casualty of modern living is sleep. Practising yoga significantly improves the quality of sleep. There is no therapy better for your body and mind than that elusive well-rested feeling. That sense of well-being in your bones which makes you feel on top of the world. So, all you insomniacs out there, just do yoga! I could go on and on about yoga’s medical benefits. Improved blood flow, enhanced immunity, increased flexibility, a stronger spine, perfect posture, lower blood sugar, an enhanced nervous system, better digestion and immunity from viruses and allergies: my ‘reasons-to-practice-yoga list’ is endless! Even though everyone’s doing it, yoga is still regarded as a frivolous practice by some, especially in the land of its origin; India. The Sacred Pushkar seeks to change that. The festival is a space for discussion and reflection as much as it is about learning new things and meeting new people, and creating a society of wellness enthusiasts. So head to the Sacred Pushkar Festival folks, where yoga is a key focus area, with workshops, guided sessions and discussions over best practices. Maybe you will come back with an ideal inner mandala of the mind, body and soul. In today’s fast-paced world, it’s hard to find a moment’s peace. Traffic snarls, perpetual work commitments, unavoidable familial obligations, incessant social media intrusions, a never-ending political circus played out on 24/7 news channels and the push and pull of modern urban living all take a toll on a person’s mental and spiritual well-being. More people suffer from stress – even in countries which have historically understood the value and need for active de-stressing. The Sacred Pushkar festival aims to rejuvenate your body, nourish your soul, and release tensions. Most importantly, it will help you to become aware of your inner self, and let you experience that elusive and rare state of spiritual and mental equanimity. And even provide you with the techniques to achieve this. By focusing on creating an atmosphere of peace, reflection and connectedness, the festival seeks to immerse participants in an experience which will leave them ready to face the world with a positive world-view. 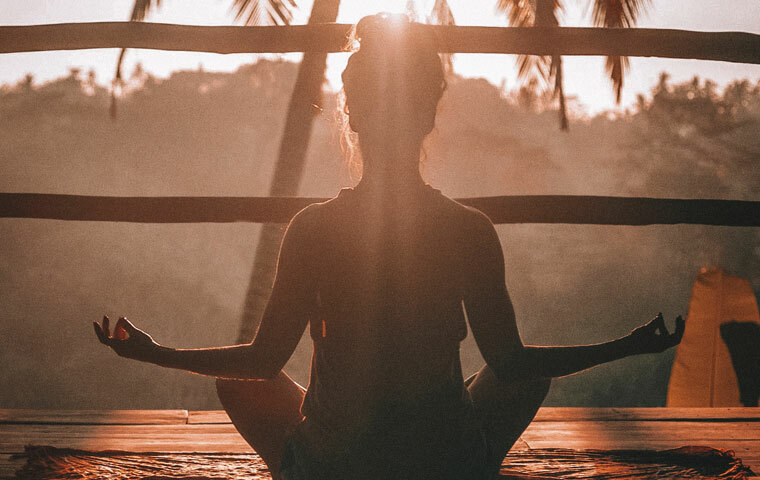 Through soothing musical experiences, mindfulness workshops, meditation and yoga sessions, and heritage walks, the Sacred Pushkar is the place to re-orient yourself, both physically and spiritually. Stress is real and no matter how we look at it, it cannot be addressed without a determined effort to lead a cleaner, healthier, and calmer existence. Can we escape our stressful lives simply by going on short expensive vacations, retiring to a hamlet in the hills, or becoming sages? While appealing, none of these are realistic or feasible. Fortunately, there are simpler and more sustainable remedies, if one is willing to look. The Sacred Pushkar festival is ideal for those looking to reset their lives while exploring one of the oldest and most mystifying of India’s towns. Pushkar, on the banks of the Pushkar Lake, is crisscrossed with winding streets and alleyways. It oozes an old-world charm and a slower pace of life. It is filled with countless temples whose bells fill the streets with an ancient symphony. The lake, the centre of the town, is surrounded by countless ghats leading down to the water. Yoga, meditation and mindfulness are all practices which help bring positivity. While most people try to be physically active and conscious about what they eat, and how they behave, very few focus on the mind and soul in the same dedicated and disciplined way. Yoga, an international phenomenon now, is viewed by millions as a sure-shot way of keeping both the body and mind energised and robust. Meditation has stood the test of time and proven itself to be a balm for overstressed minds. It is time then for all of us to embrace a more ‘mindful’ way of life. Taking the first step is hard, but not impossible. Your e-mails, deadlines and obligations may urge you to stay in the grind. But, your body, mind and soul scream out for nourishment. Will you answer the call?